Kipling D. Williams, Professor of Psychology in the Department of Psychological Sciences at Purdue University developed a game called Cyberball, in which research subjects engage in a simple game of 3-way toss. A Functional MRI captures images of the subjects’ brain activity during the game. After a few rounds, the avatar players begin to toss the ball back and forth without including the subject – and guess what happens? The subject reports feeling ostracized and rejected, and the FMRI lights up with activity in the very same brain region where we register physical pain (the anterior cingulate cortex)! The human brain evolved to ensure safety; we are not a very fast or a particularly strong species – so our ability to connect and collaborate with others has been critical to our survival. Acceptance within groups ensured access to food, shelter, a mate … So our brains tend to be hypersensitive to ostracism, responding – as though to physical danger – with spikes in cortisol. Social rejection in childhood causes more than superficial and momentary discomfort – In fact, it can have long-term negative impacts on physical and mental health. Studies show that social rejection increases anxiety and depression, causes spikes in blood pressure, and impairs the immune system. The impact on academic achievement can be catastrophic also – children who are subjected to social rejection at school cannot activate the necessary executive functions for memory and learning because their limbic systems are on high alert. What can schools do about this? Share your own ideas and best practices!! Mike Dreiblatt, from Stand Up to Bullying. will speak at our upcoming professional development experience: The Maine Event – A National Conference on Positive School Climate! AWEsome! … The experience that expands your perception of time and makes you a better person! A recent Stanford study illustrates how the experience of “awe” actually changes our perception of TIME! Researchers described awe as “the emotion that arises when one encounters something so strikingly vast that it provokes a need to update one’s mental schemas”. In other words, awe causes us to change or expand our existing mental frameworks in order to accommodate the experience! (Imagine that! The notion is awe-inspiring in itself!!) Think of all the dendrites and synaptic connections that are formed when we have to change up our perceptual frameworks …! … And regular incidences of awe cause increased feelings of personal well-being, increased compassion, and increased altruism! The researchers found that a wide variety of experiences can elicit awe – powerful memories, Nature, Art, Science, and meaningful human interactions are some examples … And we can even deliberately cultivate this by tuning our attentions toward the profound and mysterious beauty inherent in everyday phenomena (like children naturally do)! WHAT INSPIRES AWE for YOU? Hindsight is 20-20: During the past decade, concerns that our Industrial-Age-Education model has been failing have risen to a crescendo. Back in the day, the proliferation of technology that could quickly mass-produce uniform items created a cultural shift that shaped the educational experience for generations of American students. The urge to efficiently create millions of “products” by applying a standardized approach was irresistible! More recently, we have recognized that human beings – especially in a diverse, free society – really don’t respond predictably to a one-size-fits-all approach, and public education has evolved remarkably to take into account individual strengths, interests, desires, and limitations. Teachers in classrooms have been “customizing” the educational experience for students in many ways all along – legally-enforced ways (as in Special Education for students with disabilities), and quiet, heroically persistent ways (as in the hours of extra time, attention, love, and inspiration). But in our rush to make use of wonderful digital capabilities, they will say, we had to make quick choices about what to measure, and when to measure. So we chose to measure what was easiest to measure – at least that would provide some data to input into the systems, at least that would satisfy the seekers of accountability. And I bet they’ll say that over the decades, we recognized that the test scores of human beings – especially in a diverse and free society – didn’t make very predictable products either. What’s more, we may discover that we placed too much emphasis on what was easiest to measure, infusing it with artificial importance – and that it was to the detriment of some of the truly important stuff. What is truly important to measure? Ask a parent what he wants most of all for his child. Ask an employer what qualities are most important to success in her company. Ask philosophers and philanthropists, artists, entrepreneurs, and innovators what attributes are most important to successful, fulfilled participation in our democracy, our country, and our world. The answers are not likely to be congruent with the data points we presently pursue. Also, ask a teacher from one of the countries who regularly “outscore” us on international standardized tests why they visit American public schools to see how creativity, individuality, entrepreneurialism, innovation are fostered. The things we do best in our schools keep miraculously surviving our efforts to homogenize, standardize, and create measurable products! And that’s pretty cool! Here is a final thought – our education system is pretty amazing! We need to always, always improve, because this work is next to sacred – and, so far, we are not reaching every child – but we are already doing some phenomenal things! Huge economic engines are fueled whenever public opinion wanes. Failing schools in the headlines means big payouts to consultants, software developers, textbook companies, testing companies … Pressure from powerful groups and individuals who stand to gain much has created an unhealthily competitive “culture of accountability” that rests its case on measures that are not necessarily valid or even truly important. Common Core standards are almost impossibly high – developmentally inappropriate, in many cases, in fact – AND THEY SHOULD BE! We should set our standards way, WAY up there. But high standards are only good for the input end of education! High standards are how we know what to teach, and formative assessments help us to know how kids are doing and how to adjust our instruction to move them along the continuum toward the VERY high standards. Very high standards, however, when applied to individual human beings with infinite variable life and learning factors, will often translate out to lower standardized test scores. Great for the consultants, the publishers, the testing companies – but a damn shame for kids, teachers, and school leaders. REAL School’s Summer STEM Adventure! REAL School’s Summer STEM Adventure!. Accountability 2.0!! Let’s teach and assess what is IMPORTANT! Activity, exercise, and new experiences all trigger production of a protein-based hormone, BDNF, that causes NEUROGENESIS! It’s like Miracle Grow for your brain! The underlined link above connects to another recent presentation … This one offers a framework for understanding the ongoing “battle” between the brain’s cognitive and emotional centers and strategies for actually increasing affective well-being (happiness)! School culture is shaped by individual behaviors, attitudes, affects, and interactions. Brain plasticity (the super cool phenomenon wherein our brain structure/archetecture changes in response to experience) is responsive to everything we see, hear, do, and think! Teachers and school administrators (or anyone else, for that matter) can use strategies in this presentation to increase both personal well-being and ORGANIZATIONAL well-being, enhancing the educational experience for everyone in the school! Here is a link to one of my recent presentations – It addresses (basic) adolescent brain development, the impacts of trauma/poverty on development, and the importance of a relational approach. It also provides several tips for improving outcomes for students at high risk. Hope you find it helpful! REAL School Agriculture and Culinary Arts Program – REAL Lunch! Resilient, effective people have strong, internal locus of control. They accurately understand the connections between their actions/decisions/words and the resulting circumstances. They recognize when they are wrong, acknowledge and repair any harm done, and make a plan for avoiding the same mistake in the future. There is a certain power inherent in the ability to take appropriate, personal responsibility – a confidence that comes from the knowledge that mistakes will sometimes happen when we take productive risks, that almost anything can be fixed, that a heartfelt apology can build a bridge, and that all challenges bring unexpected gifts. Punitive disciplinary practices in schools tend to build inaccurate connections for kids. They learn to associate their behavioral mistakes with adult hostility instead of with their own need to learn/grow/improve themselves; they learn to avoid being caught, or to lie, or to externalize the blame … Precious emotional and cognitive energy ends up wasted on cover-up efforts, deflection, finger-pointing, and denial… And worst of all, precious opportunities for growth and learning (that are the inherent gifts hidden within mistakes), are lost in the process. An apology can be very empowering, when you think about it. It is an act of heroic optimism and unshakable confidence – Yes, I messed up, but I will fix the damage and learn to be better. The fact is, though, that most children hate to apologize; they have been socialized into believing that mistakes are shameful, and that fessing up is somehow a sign of weakness. At our school, we use a 4-step Restorative Learning Process to help students: 1) take personal responsibility for their actions; 2) acknowledge the impact of their behavior on others; 3) come up with a way to repair any harm that was done; and 4) develop a plan for getting their needs met in a more adaptive and successful way in the future. This practice (in lieu of suspensions, expulsions, or even time-wasting detention practices) keeps students in school – moving forward in their educational processes, and breaking the ineffective cycle of punitive discipline. Since it is difficult for us to measure what is truly valuable, do we have to value that which is easier to measure? We need to be very careful about our priorities when it comes to “high stakes” testing. With national and international pressure to weigh in with a norm-referenced score to prove where our schools fall on the big sliding scale of standardized test scores, it is quite possible that many smart, ethical, passionate educators are forced to place too much value on students’ acquisition of the skills and knowledge bytes that make for successful test-taking. While some of these tools for achievement are important to have and to hone, others are becoming archaic while the ink dries on the new test bubble sheets … and even the most important and relevant items are still really just tools. It is much easier to assess that a mechanic does, indeed, have a wrench in his hand than it is to determine whether or not he can fix your engine properly. We can’t necessarily judge the seaworthiness of a boat based on the fact that it appears to have a rudder and a fog horn, and we wouldn’t recommend a brain surgeon just because she owns a scalpel and can define several neurological terms. When schools and teachers are publicly judged (and compensated/penalized) based largely on their ability to get students to demonstrate skills and information outside of authentic contexts, we are giving priority to the wrong things. When teachers are busy preparing students for standardized tests, they have little time left over to provide the sort of instruction that fosters necessary 21st Century capabilities. Recent research on brain development and learning practically insists that we engage students in complex, loosely-defined challenges and activities that require them to struggle through ambiguity, ask questions, and work together to find innovative solutions. Project Based Learning, Service Learning, and Design Thinking all help to support development of synaptic connections for improved learning. This type of instructional practice also fosters important executive functioning skills – the ability to plan, prioritize, delay gratification, predict consequences and outcomes, engage in abstract thinking, and interact in positive, productive ways with others. It is possible to measure student achievement through authentic assessments. Rubrics, portfolios, and actual performance tasks can all contribute to a system that gauges truly important outcomes like critical thinking and collaborative skills, interpersonal communication, creative innovation, entrepreneurial risk taking, flexibility and adaptability under conditions that fluctuate, and other necessary competencies for success in the fast-changing present and future world. The Authentic Assessment Toolbox offers excellent rationale for authentic, performance based assessment AND practical ideas and strategies for implementing these assessments. Since there is national interest in revisiting the NCLB rules these days, it might be the perfect time to reconsider what it is we really want for our students, figure out how to measure that, and make sure that classroom time and energy are devoted what is truly important. Here are some thoughts on the interactions between teachers and students .. Most of us can remember how we felt at some point when a teacher either ignited a fire inside of us or made us feel inept. Adults in the classroom never have the luxury of being neutral. Everything you say or do is either building a bridge or building a wall. Seems like a lot of pressure, I know – but teachers (by which I mean all adults in a classroom, since the kids are learning from all of the adults) are the most powerful people in the room. Sometimes teachers can feel powerless when faced with apathy, disrespect, and other assorted expressions of negativity in the classroom – but it is really important to remember that you hold at least 2 types of power at all times: “official power”, because you ultimately have the final say on what happens in the classroom (how rules are enforced, who sits where, who gets to talk, what lessons and activities will happen, etc) and “perceived” power, because most of the students are under the general assumption that you are in charge here (if you don’t believe this – watch their eyes when something goes wrong – they all will look to you to see how you react and to find out if everything will be OK). You can also develop “social” power when the students see you as the person who makes sure that everyone feels respected, safe, and cared about. All this rambling about power is just a reminder that – even on the toughest day – you have what it takes to make or break a student’s experience at school. They watch your face and your body language, they hear every twinge in your voice, and they look to you to provide an example of how a smart, capable adult handles stress and surprise and joy and etc…. 1. Speak to students as though their parents are in the room with you. 2. Notice something great about an angry disaffected student and bring it to his or her attention in a meaningful way. 3. “Creative Visualization” to help create compassion when you can’t feel it in the moment: Picture a big, angry student as the 3-year-old he once was … picture him “playing school”, watching the school bus go by, and getting excited about someday going to big-kid school. Then picture him in Kindergarten – running open-heartedly into the classroom, only to learn very quickly that he didn’t fit in there (his “walking feet” were “running feet”, for instance, and his “listening ears” didn’t work well; his circles were not round and didn’t sit well on the line). 5. Remember that when students exhibit challenging behaviors, they are usually trying to mask their fear of rejection or of looking / feeling inept. What do we really want for our kids? What do they really need? According to some arguably brilliant people (Tony Wagner, for instance, or Yong Zhao … just to name a couple), our students need to become autonomous, imaginative, confident, articulate, creative, passionate, collaborative, innovative, critical-thinking, problem-solving individuals who participate fully as effective, productive, happy, fulfilled, global citizens. Sure, our students need to learn the hard skills of Literacy and Mathematics, and they need to understand certain Social and Scientific concepts – these are often prerequisites to all of the above. But to get at the OUTCOMES we really want, ask why a student needs to “learn and be able to do” any of the standards (either Maine Learning Results OR Common Core Standards)… Seriously – choose a standard … any one of them – in any content area … and then ask WHY the students need to know or be able to do this. The answer is going to lead you directly to the ultimate outcomes we’re hoping to achieve – that our students will become responsible, involved citizens; effective communicators; creative problem-solvers; critical thinkers; collaborative, compelling, curious, innovative folks who care for others and who receive care in return. (These are not frivolous, soft aspirations for our students, by the way – these are necessary capacities for competing successfully in a global and swiftly-changing economy). Some wonderful standardized test-takers have gone on to become fairly ineffective citizens. And some of the most astounding innovations, the most profound acts of kindness, the most heroic sacrifices, the sweetest victories, the best music, the finest art, and so many other superlative feats have been accomplished by unremarkable standardized test-takers. We might want to rethink a system wherein schools are forced to squander considerable fiscal resources, time, and energy on standardized testing (and on teaching to those tests). What matters most cannot always be quantified. Think about the child you love most in your life – what do you want for that kid? How should this be measured? What is the purpose of school discipline? What are our intended outcomes as we respond to student behavior? Most “misbehavior” is actually the developmental job of children and adolescents, who push up against (and sometimes through) the barriers, guidelines, rules, and expectations we set for them in their ongoing quest for self-regulation and independence. Chronic and extremely maladaptive behaviors can be signals that a child/adolescent has unmet needs, unsolved problems, or lagging skills (Dr. Ross Greene – http://www.livesinthebalance.org). In either case, educators and others who work with youth have options when it comes to our responses to student behaviors … Traditional, punitive measures (detention, suspension, expulsion) are usually unsuccessful in changing behaviors or fostering personal growth. These responses tend to marginalize, isolate, and disconnect a student from the community, thereby making future misbehavior more likely. Punishment triggers fear, and often teaches lessons like: how not to get caught, how to place external blame, or how to manipulate the system. CPI is partnering this year with the Positive Youth Development Institute to bring you the “Maine Event” National Conference on Creating Positive Climates for Youth! Earn 16 contact hours or 1.6 CEU’s, while improving your ability to develop and sustain a vibrant school or work climate, networking with colleagues from across the nation, and enhancing your practice through targeted strategies for organizational well-being (and even self care)! Featuring: Frank DeAngelis, Former Columbine High School Principal, and school climate expert; Karen Williams, dynamic speaker, trainer, and consultant on developmental neuroscience; and SO MUCH MORE… Check the agenda and workshop descriptions here: The Maine Event – National Conference on Creating Positive Climates for Youth! Restorative Justice School Discipline doesn’t always have to involve cumbersome logistics … In fact, this approach can be phased in seamlessly to enhance your current disciplinary practices! Check out our Solutions Webcast on Restorative Practices on the National Dropout Prevention Center website! And JOIN US at the Maine Event: National Conference on Positive School Climate … less than two weeks away!! Join us for THE MAINE EVENT: National Conference on Positive School Climate! This professional development experience focuses on PERSONAL, PROFESSIONAL, and ORGANIZATIONAL WELLBEING! The success of ALL your other School Improvement Efforts hinges on a POSITIVE SCHOOL CLIMATE! Presentation of the Pegasus Awards for Professional Courage! Learn strategies and approaches that TRANSCEND changing mandates to enhance ALL of your school improvement initiatives! June 23-24, 2016 at the Holiday Inn by the Bay, Portland Maine!! There is still time to register for this one-of-a-kind professional development experience! The Big List of Educational Grants and Resources | Edutopia. Connect to information and registration for: The Maine Event – A National Conference on Positive School Climate! In section THREE of the final report, the commission describes the importance of a focus on improving access to mental health services and the critical roles of public schools in keeping children and families connected to each other and to community supports. “Nearly 20% of adolescents can be classified as socially excluded (i.e., being ignored or excluded by others), an experience that many liken to “social death”. Research has found significant associations between chronic social ostracism and participation in risk behaviors… higher levels of depression and anxiety, peer victimization and aggression… Retrospective studies have reported that chronic social ostracism, especially experienced during high school, is a risk factor for suicidal ideation and attempts during adulthood. In short, social exclusion threatens psychological and behavioral systems that are critical for normal adolescent development, health, and life-longevity.” – Richard Gilman, PhD, Professor, University of Cincinnati Department of Pediatrics, Division of Child and Adolescent Psychiatry, Cincinnati Children’s Hospital Medical Center, written testimony submitted to the Sandy Hook Advisory Commission. – Schools must play a critical role in fostering healthy child development and healthy communities. 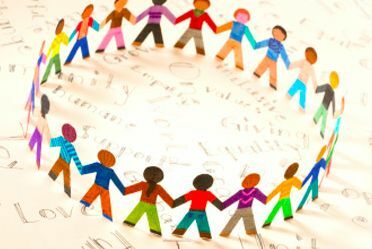 Healthy social development can be conveyed by role models such as parents, teachers, community leaders, and other adults in children’s lives, but it can also – and should – be actively taught in schools. – Social-emotional learning must form an integral part of the curriculum from preschool through high school. Social-emotional learning can help children identify and name feelings such as frustration, anger and loneliness that potentially contribute to disruptive and self-destructive behavior. It can also teach children how to employ social problem-solving skills to manage difficult emotional and potentially conflicting situations. – A sequenced social development curriculum must include anti- bullying strategies. As appropriate, it should also include alcohol and drug awareness as part of a broader substance-abuse prevention curriculum for school-aged children. – Many of our students and their families live under persistent and pervasive stress that interferes with learning and complicates the educational process. There are many potential resources such as school based health centers that should provide a locus of preventive care, including screenings and referrals for developmental and behavioral difficulties, exposure to toxic stress, and other risk factors, as well as treatment offerings that can address crisis, grief and other stressors. Alternatively, schools can employ the services of community-based mental health providers such as child guidance clinics. – Schools should form multidisciplinary risk-assessment teams that gather information on and respond supportively to children who may pose a risk to others or face a risk to themselves due to toxic stress, trauma, social isolation or other factors. Schools should look to factors such as social connectedness in identifying children at risk; all school staff should be trained in inquiry-based techniques to apply when disciplinary issues arise in order to deepen their understanding of how children’s behavior can be linked to underlying stressors. – Schools should work with all providers to enhance community resources and augment services available in schools. For many children schools offer the only real possibility of accessing services, so districts should increase the availability of school guidance counselors, social workers, psychologists, and other school health and behavioral health professionals during and after school as well as potentially on Saturdays.